1 out of 3 Filipino children have growth issues.1Make sure your child isn’t one of them. 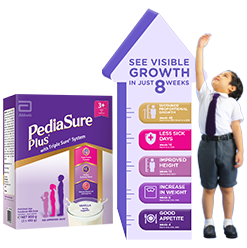 You are about to leave the Pediasure Plus website. Was this your intention? If so, click ‘OK’ to confirm, but if you wish to stay click ‘Cancel’. If you do leave this page please be aware that Abbott will no longer be held responsible for content.